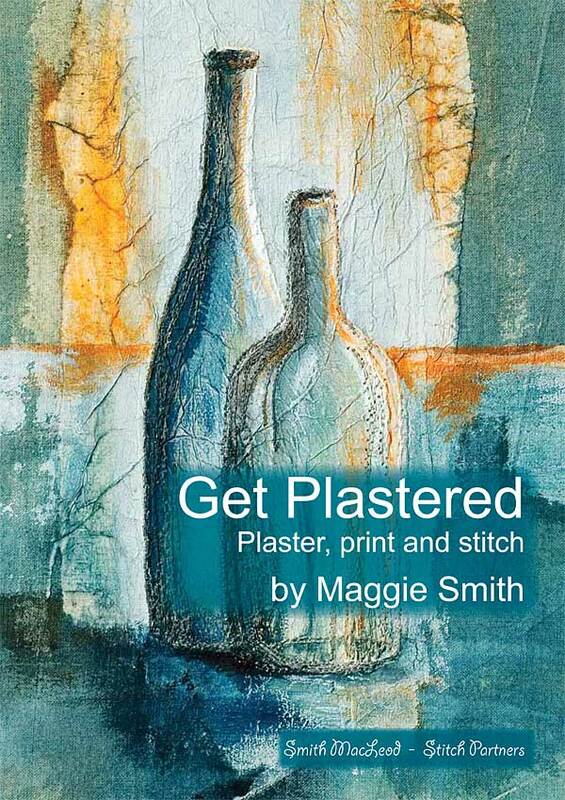 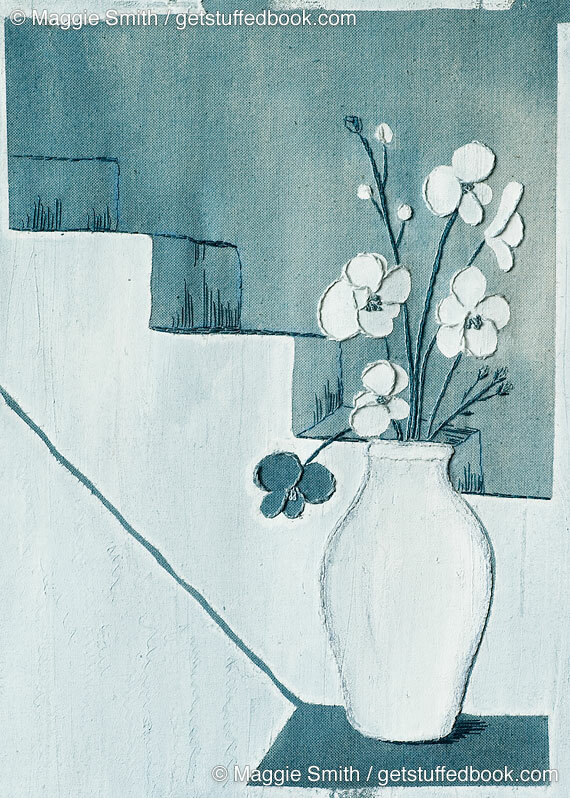 Get Plastered: plaster, print and stitch explores the possibilities of using plaster and paint to create texture, shape, and pattern on simple surfaces. 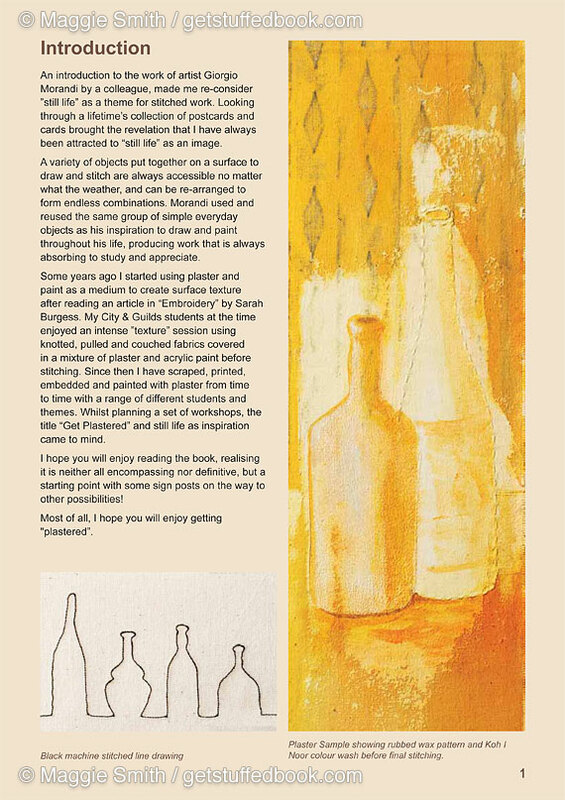 Inspired by Giorgio Morandi to use still life as a theme, I explain techniques and ideas simply, with clear photography and step-by-step instructions, enabling both beginners and the more experienced embroiderer to achieve some stunning effects. 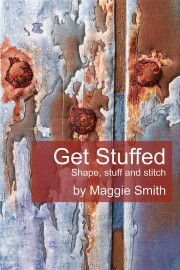 Full of practical advice Get Plastered is a great how-to book for creating exciting texture and surface detail on calico and paper, with a plaster and paint mixture.